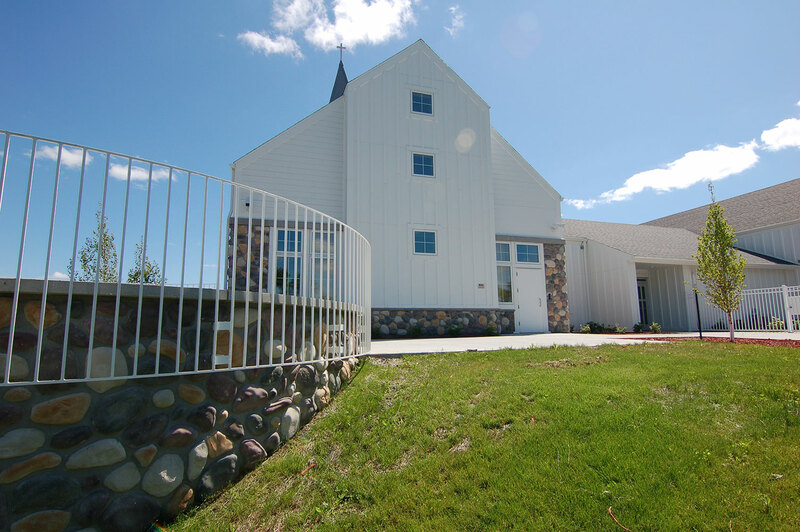 A comprehensive planning process was done for the Dakota Boys and Girls Ranch of Fargo. 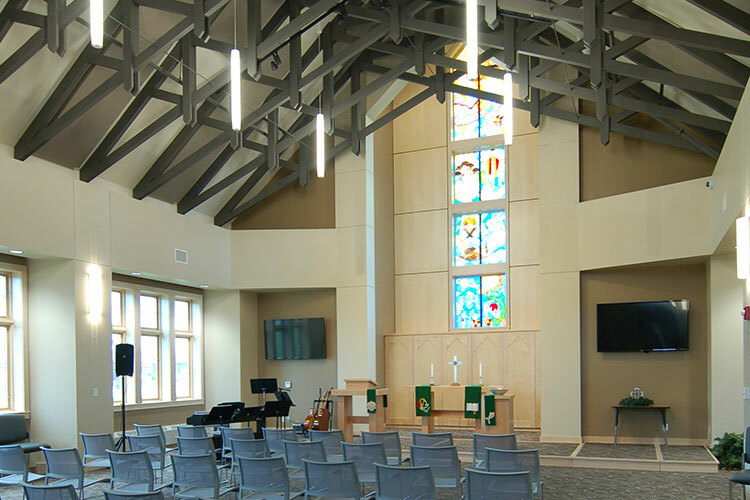 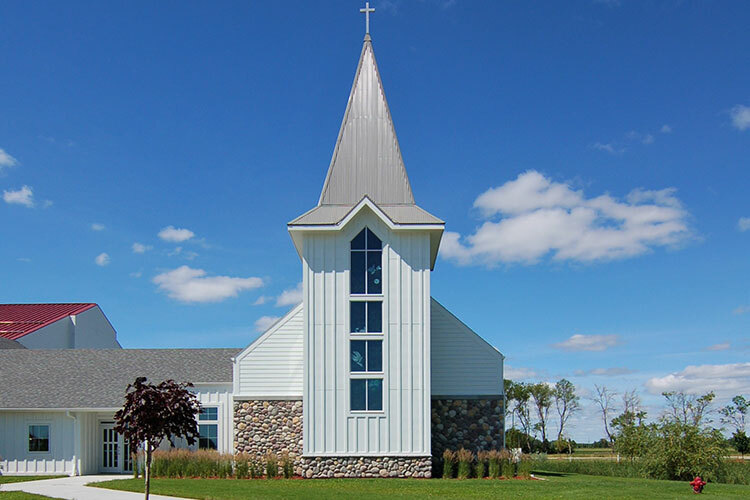 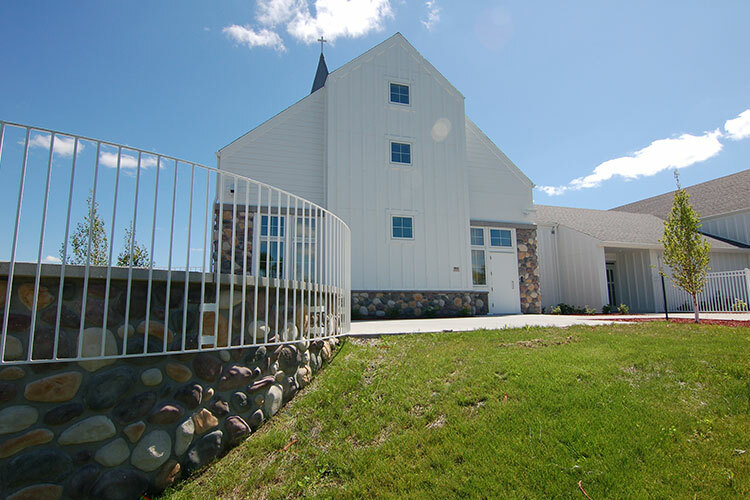 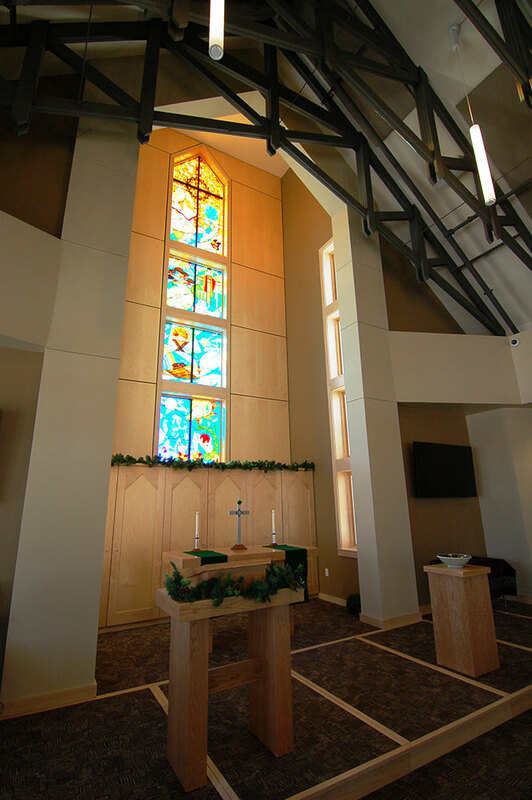 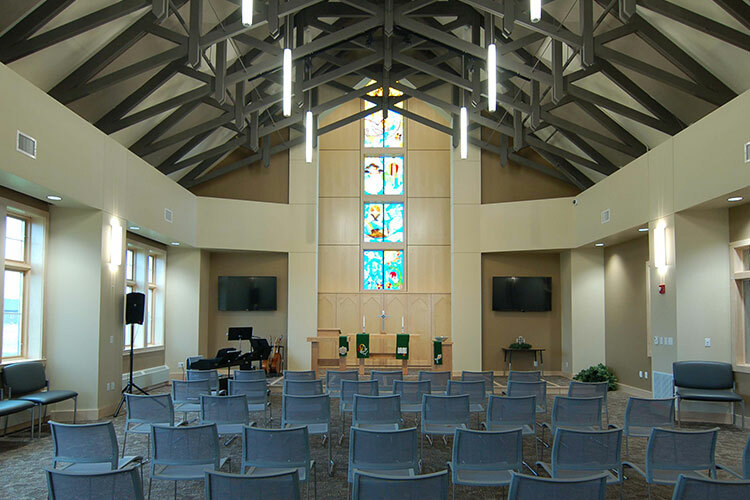 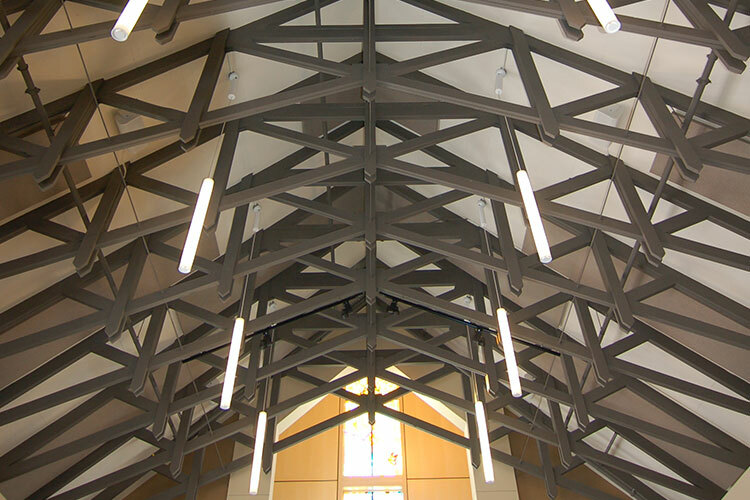 A chapel for residents, students and staff use was included as part of the next phase of development on the campus. 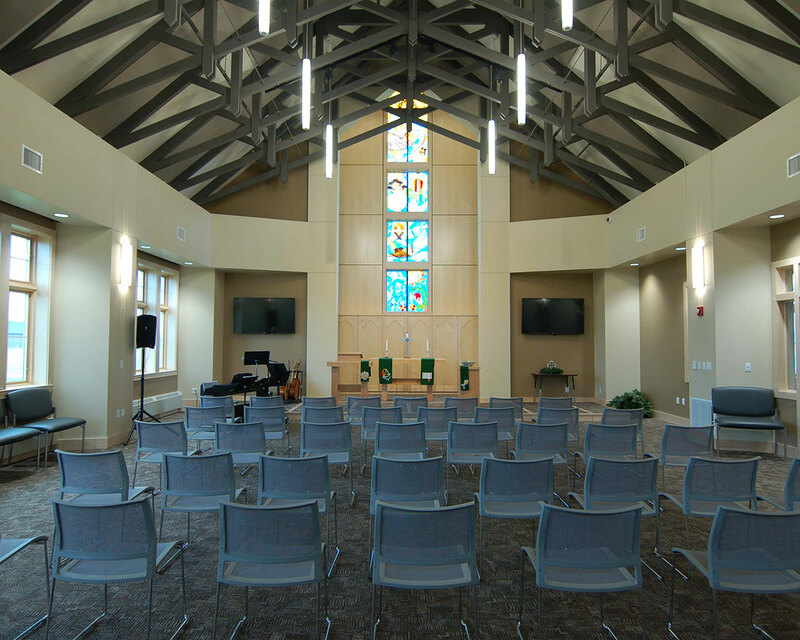 The chapel has seating for 80 to 100. 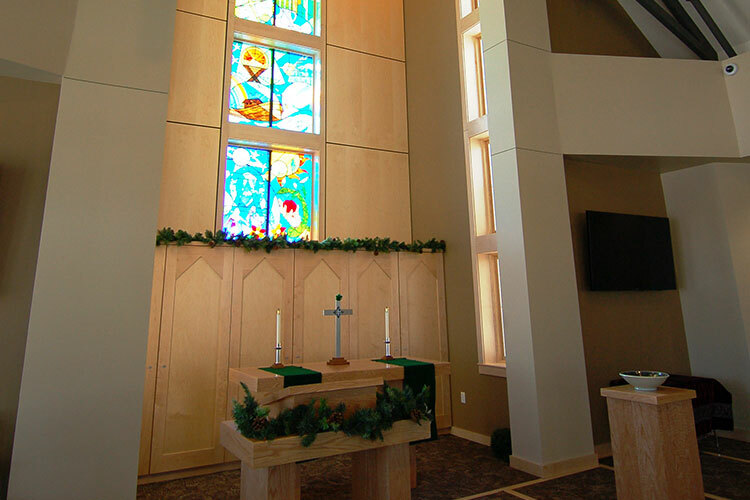 The chancel platform is removable to allow for flexible multi-purpose uses of the space. 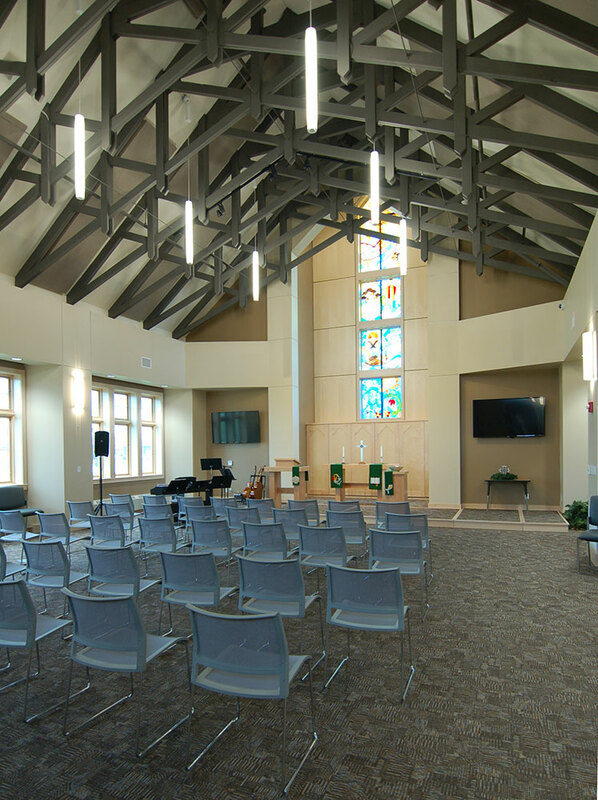 The space is equipped with a sound and video projection system with a projection screen hidden pocket above the chancel. 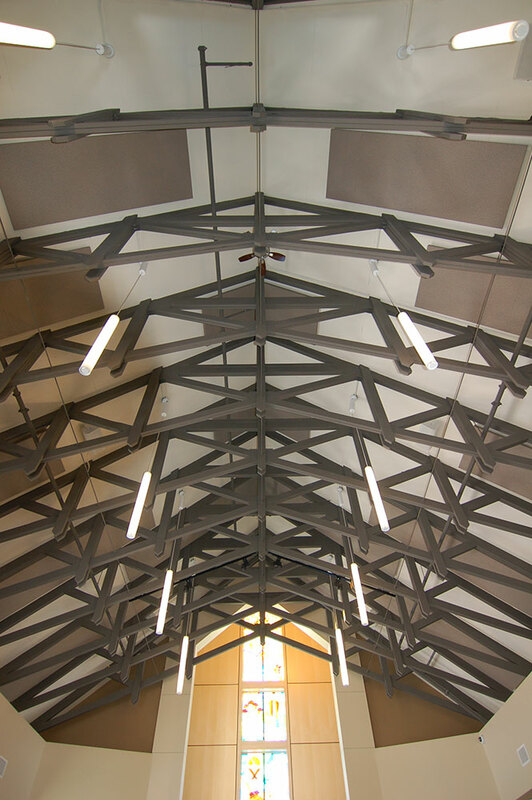 This project also included a gymnasium, classrooms, and kitchen/dining spaces.